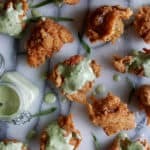 Crispy crab fritters and the most versatile, vibrant dressing you could ever imagine combine into one delicious appetizer. Even though summer is coming to an end, I think a festive crab appetizer is absolutely called for. 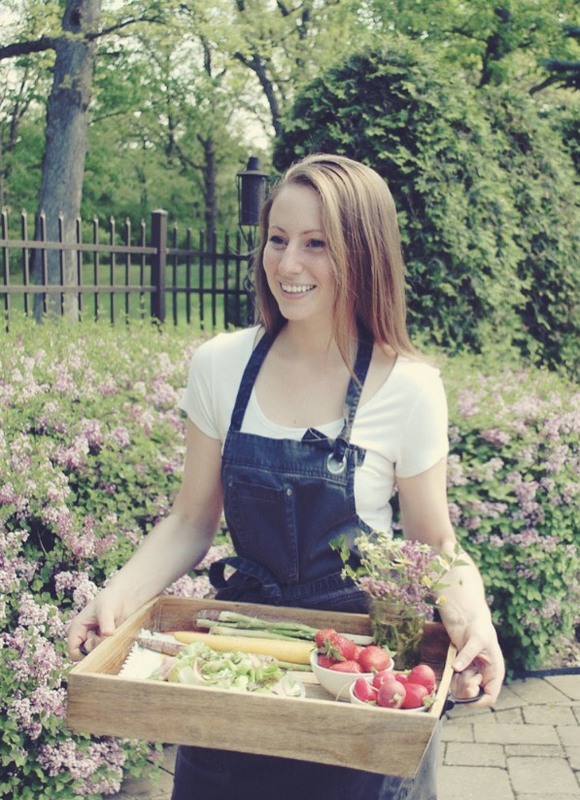 It is only the beginning of September, anyways, and it’s always fun to extend the season just a little bit longer. 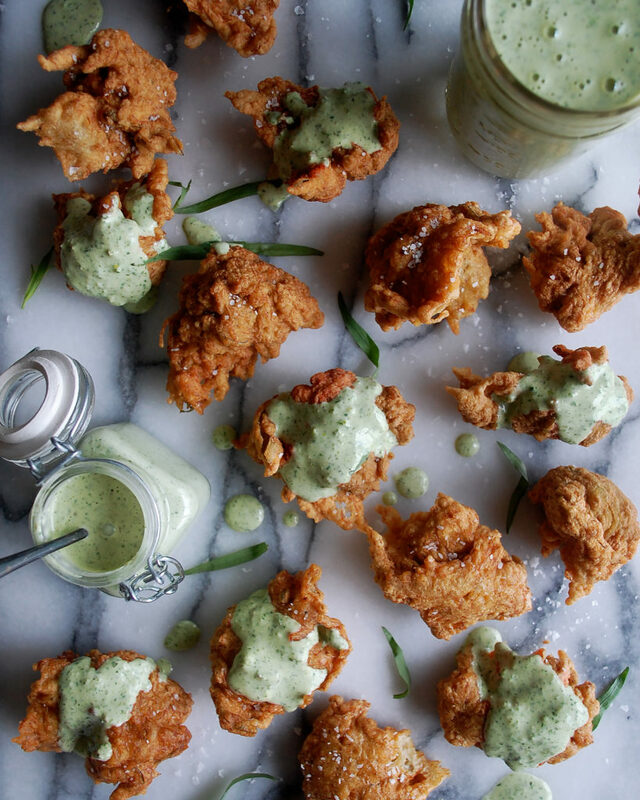 If you’re cooking for people this weekend, or even just enjoying a meal to yourself, these fritters are light, crispy, and the perfect way to savor the summer. The crab fritter batter is really simple. When fried, it turns into a crisp and airy bite with lots of crab flavor throughout. Jumbo lump crab is the best, but quite expensive. I think it’s worth it, but sometimes I know it isn’t quite practical to spend a fortune on crab. So, if you go for claw meat, that’s okay, too. My favorite part about this is definitely the green goddess dressing. 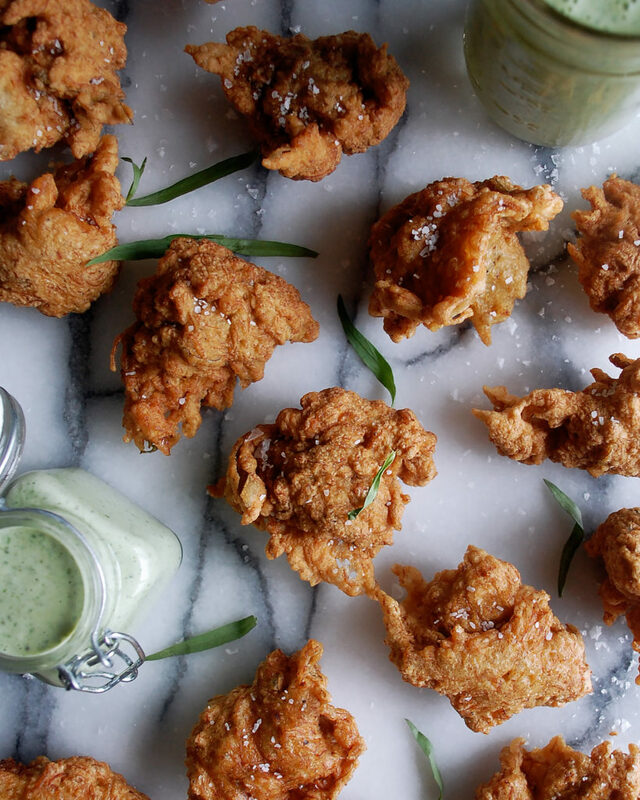 Not only because it works so well with the crab fritters, but also because it can be saved and used for the rest of the week in salads, on tacos, as a crudité dipping sauce, as a marinade…really anything. It is so bright with tons of herb and citrus flavor. I just love it. 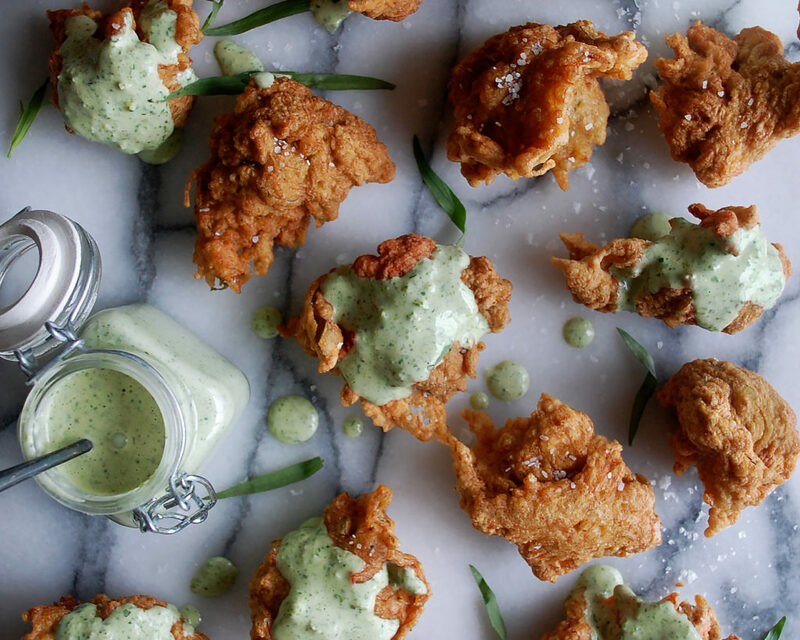 While the dressing can be saved and used later on, the crab fritters should definitely be eaten as soon as they are fried. Even letting them sit for 5-10 minutes will cause the crispiness to become much less crispy. 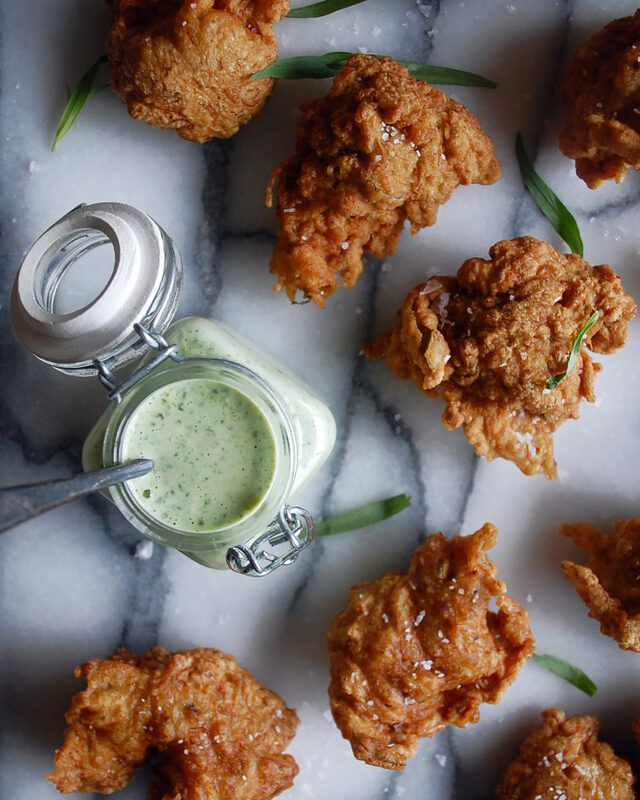 So, if you’re trying to savor every last second of summer before we get into full-on cozy mode, grab the recipe below and enjoy these crispy little bites! Add the spinach, basil, tarragon, garlic, and anchovy paste to a food processor and pulse until finely chopped. Add the mayonnaise, ½ cup of Greek yogurt, lemon juice, lemon zest, and salt. Process until smooth and bright green. Add the remaining two tablespoons of Greek yogurt and pulse just a few times until combined. Chill until ready to serve. Fill a large pot with oil so that it comes up about 2 inches from the top (you can also use a deep fryer if you have one). Heat the oil over medium heat until it reaches 350F. Meanwhile, whisk together the flour, Aleppo chili pepper, salt, garlic powder, and black pepper in a mixing bowl. In a separate mixing bowl, beat the eggs and add the water. Gradually add the dry ingredients to the wet ingredients, whisking until smooth. Fold in the crab meat. Once the oil has come up to temperature, begin to spoon the fritter batter into the oil, approximately 2 tablespoons each. Work in batches and don’t overcrowd the pot. Fry the fritters for about 2 minutes on each side. When golden brown and cooked through, transfer them to paper towels. Immediately season with salt. Finish frying the rest of the fritters. Serve hot with the green goddess dressing on the side or drizzled over top.